Another short winter is over. Though it was not the same miserable failure as last year's, it was still two months too short. One month of real winter with the possibility to ski in the nature is simply not enough, especially when you remember winters such as the one 2012-2013, which allowed skiing in the nature from the end of November almost to the middle of April. I did make the most of the winter, though, with overnighters an all four winter weekends and six nights out. From a fatbiking point of view this winter has been almost totally unnecessary. There has been two or three weekends with what could be called good fatbiking conditions, of which and I was away for and had the bike out of service for the third. Now I just think I will put the bike back in 29+ mode, since I see no reason to ride on the wet November style trails with the 100 mm rims and 4.5" tires, a setup which is quite tight on the Salsa Mukluk. Maybe I'll get another fatbike at some point and just keep the Mukluk as a 29+ bike, a format which I like a lot. 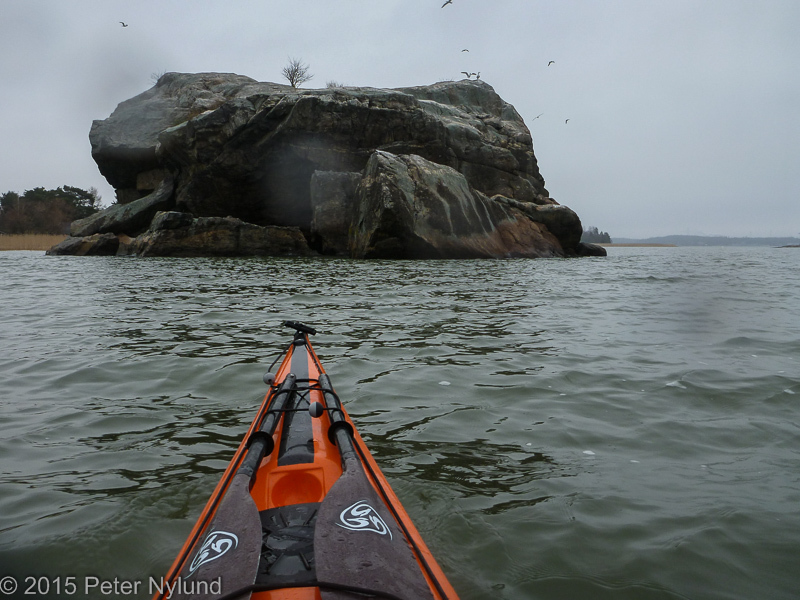 Since the trails are now quickly degrading into the wet November mode, which I don't like riding on for a number of reasons, I saw now reason not to start the new kayaking season. 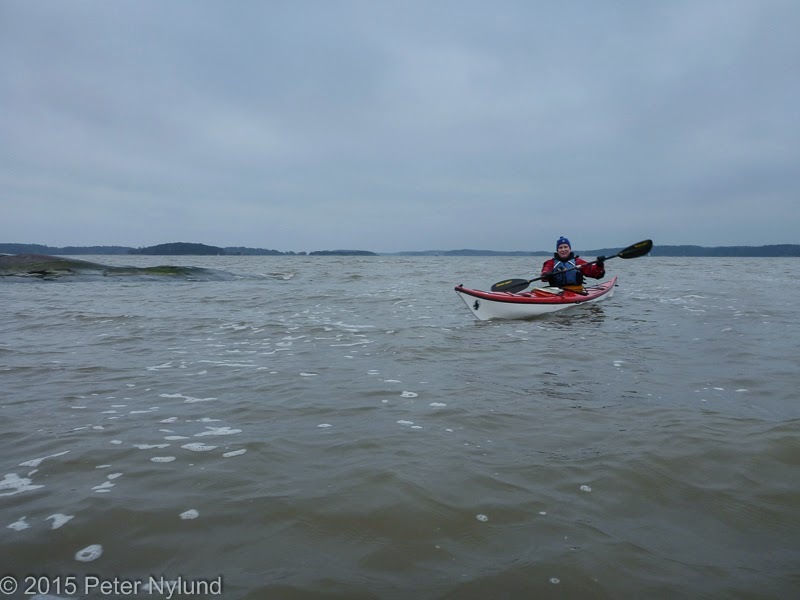 There was at least a six week break from kayaking anyway, though I've still done some roll training in the pool during the break. 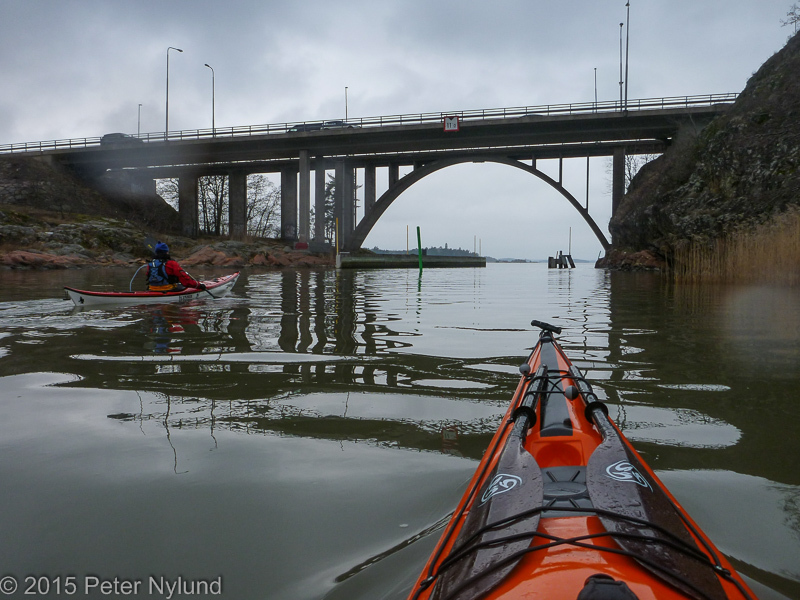 I made a post on our local winter kayakers forum and I got company for a short kayaking outing. 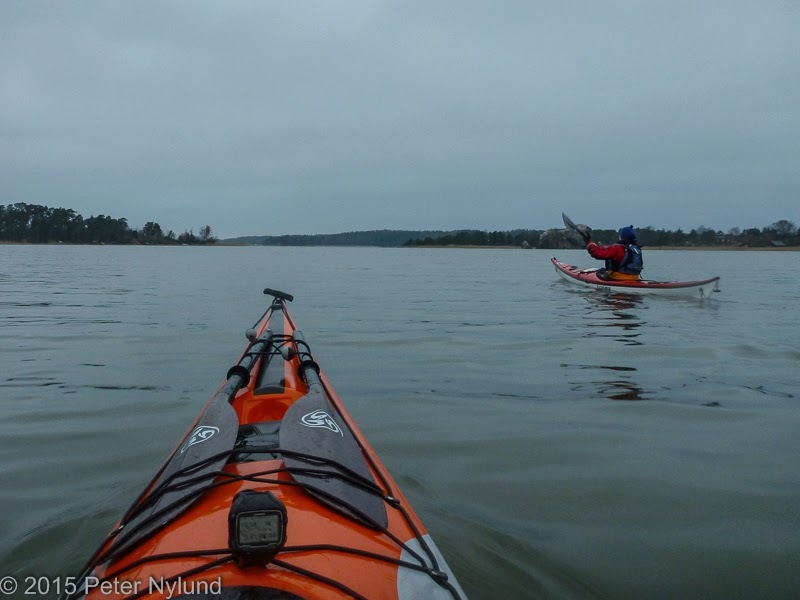 We started from Saaronniemi, since there was no ice there. 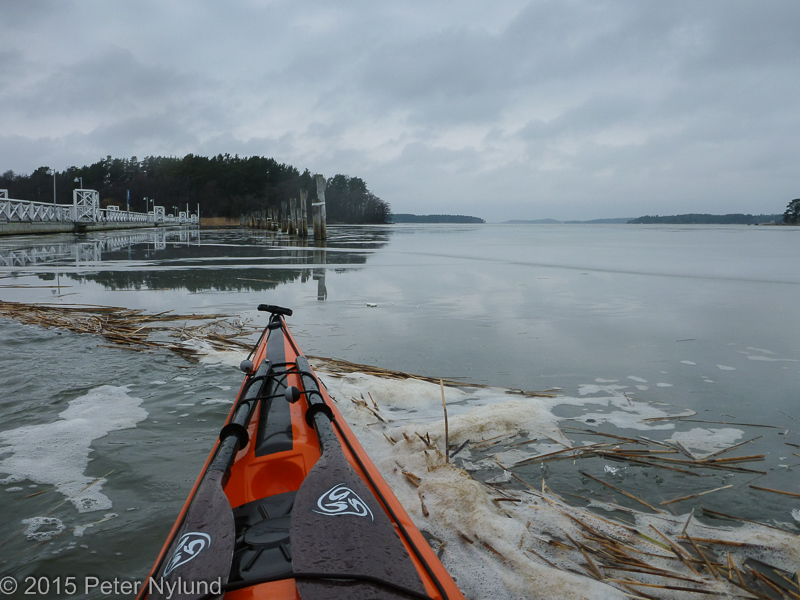 The starting point at the kayaking club still had enough ice to prevent going from there. The temperature in the air was about the same as in the water, just above freezing. 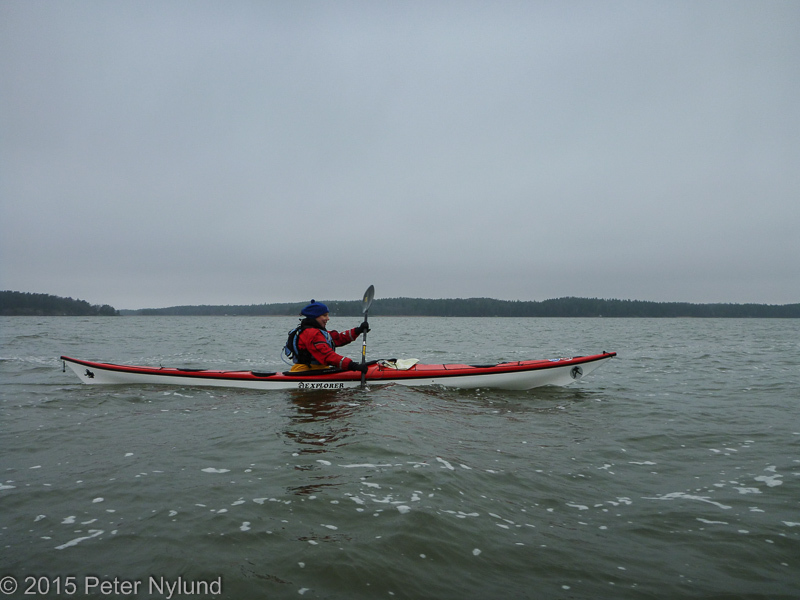 We decided paddle to Naantali to drink coffee and that way avoid most of the wind, which seemed to be increasing. 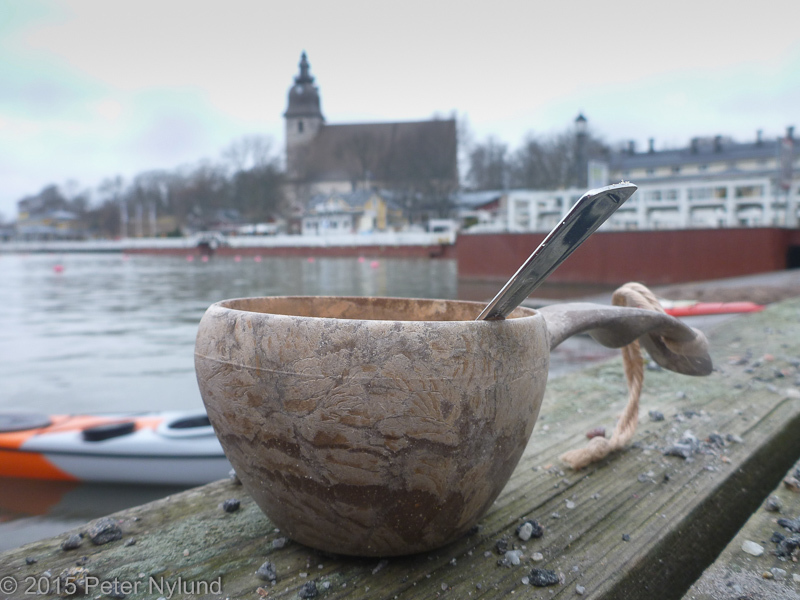 After the coffee we tried to go around the Moomin island before returning, but the ice prevented us.